"Jacqueline Winspear chronicles the uncharted, sometimes rocky path chosen by her protagonist and delivers results that are educational, unique and wonderful." "Maisie Dobbs is a revelation." From Jacqueline Winspear, New York Times bestselling author of Among the Mad and An Incomplete Revenge, comes another thrilling installment in the Maisie Dobbs series. 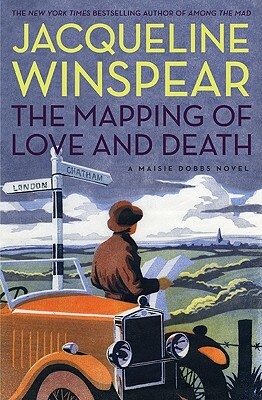 In The Mapping of Love and Death, Winspear's popular "psychologist and investigator" Maisie Dobbs is hired to unravel a case of wartime love and death, an investigation that leads her to a doomed affair between a young cartographer and a mysterious nurse.